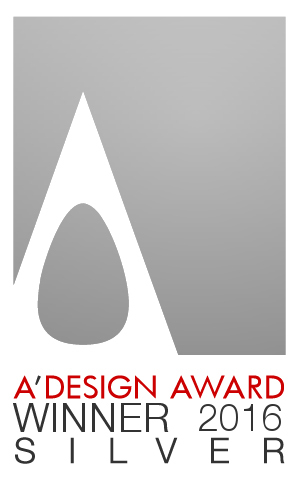 A’ Design Award and Competition is delighted to announce that the design Fountain Ring by Atelier OPA has been honored with the famed Silver A’ Design Award. 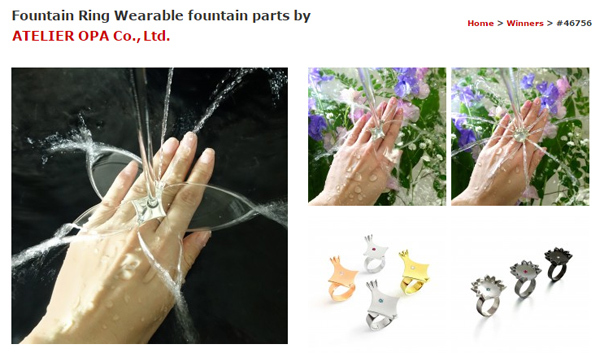 A’ International Design Award and Competition is pleased to announce that the jewelry design Fountain Ring by Artist: Yuki Sugihara, Designer: Munetaka Isikawa, Architect: Toshihiko Suzuki and Marketing and customer care: Bianca Isnardi has been awarded with the famed Silver A’ Design Award in Jewelry, Eyewear and Watch Design Category. The Silver A’ Design Award is a prestigious award given to top 5% percentile designs that exhibits an exemplary level of excellence in design. This award gives recognition to the excellence of design on the international stage. In June, A’ Winners’ Exhibition starts near Como lake. at “MOOD – Museum of Outstanding Design” Ex Chiesa di San Francesco, Como, Italy. Dates: 7-30 June 2016.
at Cube Design Museum, Museumplein, Kerkrade, Netherlands. Dates: July 2 – August 4 2016.
at Bologna Design Week, Italy. Dates: September 28 – October 1 2016.
at Espacio Ricardo Lorenzo, Gallery of the College of Architects of Cantabria, Calle De Aguayos num. 5 of Santander, Spain. Dates: April 7 – May 12 2016.
at “Shenzhen International Industrial Design Fair” Shenzhen, China. Dates: 6-8 November 2016.